Santa Claus is on his way to San Diego! – Cool San Diego Sights! Santa Claus is on his way to San Diego! 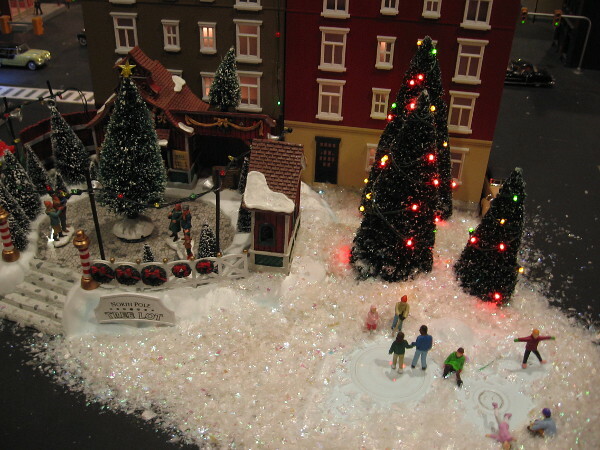 I see the holidays are being celebrated at San Diego’s festive Old Town Model Railroad Depot. I just checked the Official NORAD Santa Tracker and I see that Santa Claus and his flying reindeer are presently distributing presents to everyone on the good list in Amsterdam. According to that website he has already delivered over 3.5 billion gifts. Santa must use one of those magic Harry Potter bags! Santa Claus should be arriving in San Diego, California very soon now! Look! It’s Santa! 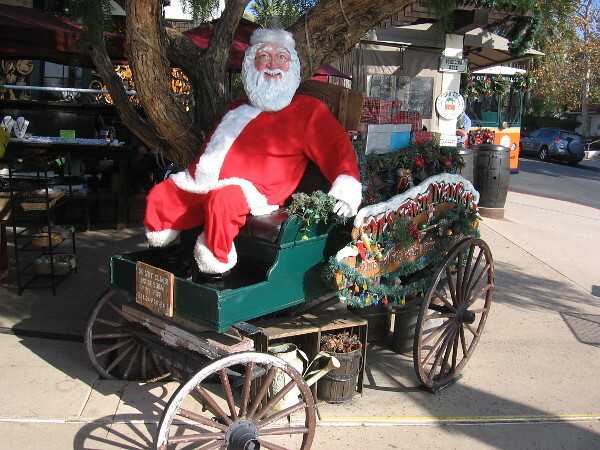 He has arrived in Old Town San Diego already! He must have hitched his flying reindeer to this old wagon instead of a sleigh! Lots of fun and surprising blogs coming up! Take care and keep on smiling! Wishing you all the very best, Richard!! Previous Previous post: 300 year old Kannon statue in Balboa Park! Next Next post: Sweet Contents adds color to Marine Terminal!